We recently spent a weekend in Nashville, TN to celebrate our anniversary. We both were excited to see Nashville as neither of us had been there. I have to be honest, we were not immediately wowed by Nashville as a city. Coming from Austin, TX, the live music capital of the world and home of some of the greatest food that has ever hit my pallet, we were surprised to find a few places we really did enjoy. I will not share all the places we went but I will share a few. I'm not going to tell you to check out all the country music and museums because you can google Nashville and it will give you a fancy list. These are just a few places we went, enjoyed and would recommend! Nashville Farmers Market- Every Saturday and Sunday the Nashville Farmers Market is open and it was defiantly a highlight for me. I loved seeing all the vendors and goods that were offered. I highly recommend going! World War II Memorial- If you are looking for a place to walk off the delicious food you've eaten in Nashville, this park is friendly to walkers and is right across from the Farmers Market! 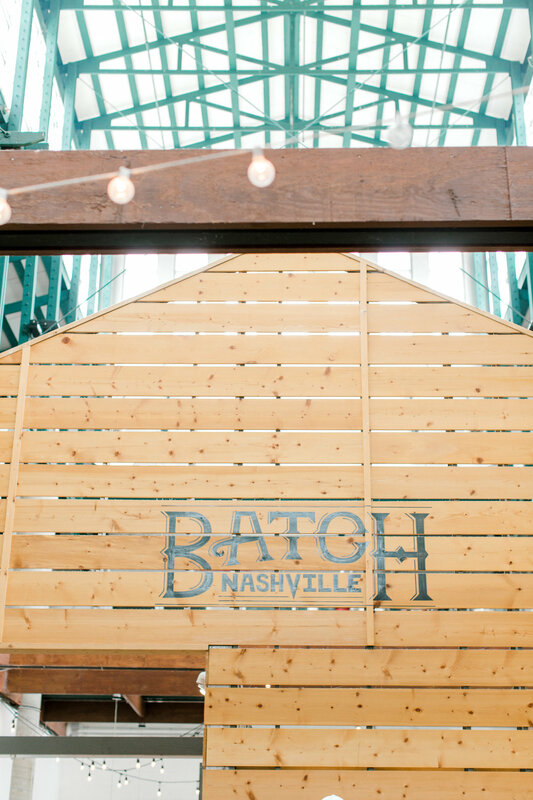 BATCH- My favorite little shop for goodies from Nashville. This is located inside the large building connected to the Farmers Market. It has so many cute goodies from Nashville. We bought the kids a Nashville coloring book! I loved the shop! White's Mercantile- Another great local shop. Prices are a little higher but they had cute gifts, clothing, baby items etc. Go check it out! Herban Market- You can grab food, coffee and healthy grocery items not to mention their massive collection of cooking oils! It is located in Franklin, TN right outside of Nashville. Sump Coffee- Located in an office building this coffee shop is clean and unique. It has a modern feel with expert baristas using modern techniques to brew your coffee. Red Bicycle- Located in Germantown this coffee shop is a Nashville must see. They had great coffee and a wonderful environment to sit and chat! Little Octopus- The atmosphere was AMAZING! Clean, crisp, and the food tasted like it was straight from the garden. A wonderful lunch or brunch place while visiting. You have to try their Hibiscus Sprits! Peg Leg Porker- We stood in line for probably 30 minutes but it was worth it. Delicious BBQ. A great lunch spot. Mas Tacos- A bit of a hole in the wall, which adds to its charm. We have had the hardest time finding real tacos here in Alabama and this place satisfied our desire! It is amazing and a great lunch or early dinner spot. We opted to sit outside which I would highly recommend. They had an amazing Margarita! 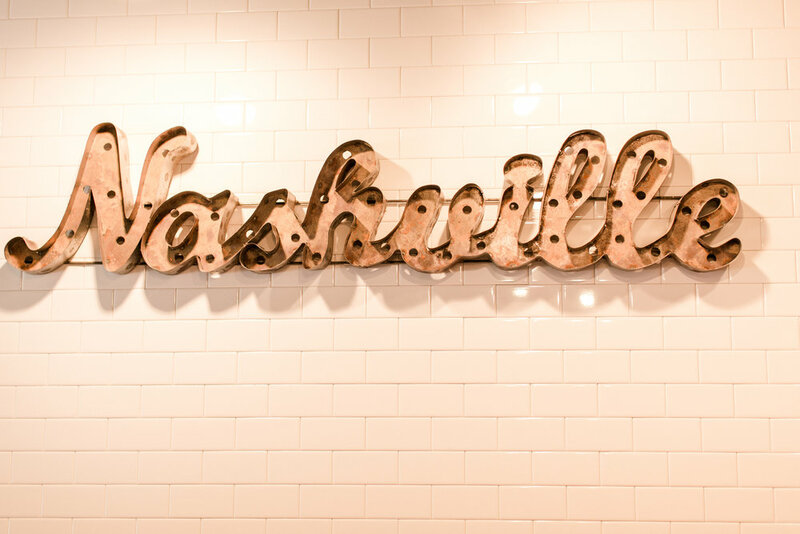 We loved visiting a new city and I hope next time you are in Nashville you will try some of these places too !